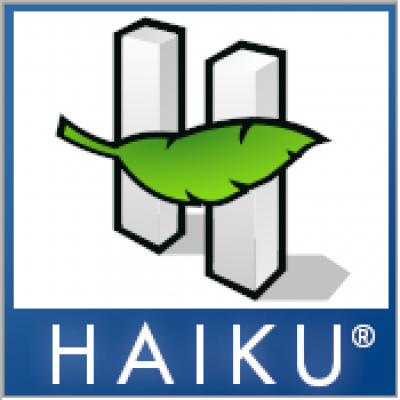 Where can I find official versions of the Haiku logo? Can I license the wallpapers? (I’m new to this.) Would I be limited to the license used for the Haiku logo? Did you already take a look at this: https://www.haiku-os.org/about/trademark_policy ? I guess I didn’t look enough. However, it does not answer question 2. Your wallpapers are copyrighted and the copyright belongs to you. You don’t need to apply for it or register it, it is yours automatically. If you want to make it available on your website, just choose a license and put in a line saying “This graphic is licensed according to the XXXXX license” with a link to the text of that license. That’s pretty much all there is to it. Is this true? If he use a Haiku logo inside it? Ah, sorry, didn’t notice that part of the question. That gets into murkier areas of “derivative work”. Are the Haiku logos covered by a license? Then read that carefully and it will tell you what you can and can not do. If it is not licensed then you cannot distribute it without explicit permission of the owner of the logo (presumably Haiku, Inc, but check that.). Disclaimer: I’ve read up a bit on this, but I am not an IP lawyer. “Haiku® and the HAIKU logo® are registered trademarks of Haiku, Inc. and are developed by the Haiku Project”. Notice that using the trademarked Haiku leaf or Haiku background leaf allow more graphical modifications, though. Regarding your work, you’re able to licence it as you want I guess. What’s you can’t do is not respecting the registered Haiku trademark by attempting to hide who own this mark, to let people think you own it,or trying to associate with something without permission from Haiku Inc., etc. Aka trying to abusing the mark. If you follow the usage requirements above, it should be fine. There is PNG versions, SVG versions and Wonderbrush (those without extension) format, aka its native format. Several variants are available for light or dark background, in different sizes etc.